Quang Nam (VNA) – The central coastal province of Quang Nam has attracted eight foreign direct investment (FDI) projects worth nearly 15.9 million USD so far this year, lifting total FDI projects in the locality to 176 with a total investment of over 5.8 billion USD. During the first three months of 2019, Quang Nam granted investment licences to 18 domestic investment projects, many in high-tech agriculture, with a total registered capital of over 3.4 trillion VND (nearly 147.2 million USD). Budget collection in Quang Nam in the first three months of this year reached over 7.5 trillion VND (324.7 million USD), equivalent to 32.4 percent of the target set for the year. Local authorities are focusing on building key projects, while promoting the restructuring of the agriculture sector in the direction of clean and high-tech agriculture development, and encouraging enterprises to invest in agriculture and urban areas. They also approved an investment plan to build Dong Quang Nam high-tech zone with a total investment of over 3.3 trillion VND (over 142.8 million USD). The project will cover an area of 278 ha in Binh Duong commune, Thang Binh district, including a support services area; repairs workshop; and collection, processing, and production areas. 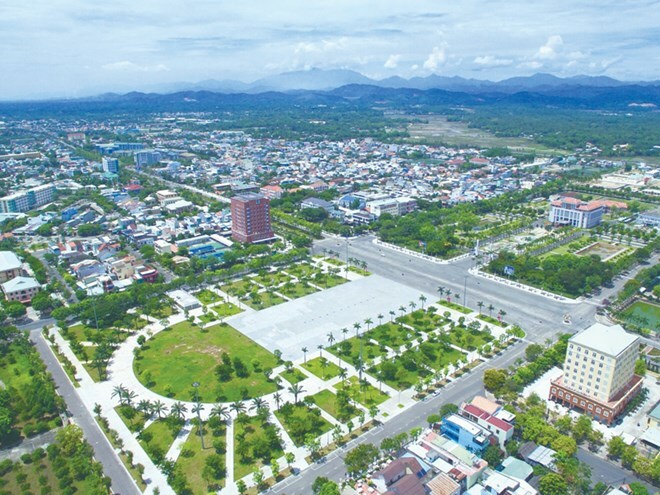 A high-quality agro-forestry industry park worth over 8.1 trillion VND (350.6 million USD) is being constructed in the Chu Lai Open Economic Zone with a total area of 451 ha. It is expected to be completed in 2020.